On January 17, 2018 July 9, 2018 By Genki JasonIn Film Festivals, Japanese Film Trailers. The Night is Short, Walk on Girl is the latest film from anime auteur Masaaki Yuasa and his studio Science Saru. One of two award-winning movies he has released in 2017 (the other being Lu Over the Wall which took top prize at Annecy), this film is the very definition of the word exuberant in terms of story and style and should cement Yuasa as one of the best anime directors around. Here’s my review!!! The narrative is simple: A black haired girl (voiced by the ubiquitous and super-talented Kana Hanazawa) is attending the wedding reception of a friend. As far as she is concerned, the party doesn’t have to end there and she walks around the streets of Kyoto at night from the alleyways and izakayas of Pontocho to the university campus, following the Komagawa river and making detours along the way. She is pursued by a male admirer, Sempai (voiced by the musician Gen Hoshino who also played the hapless lover in Why Don’t You Play in Hell? ), who tries to catch her attention by appearing before her as often as possible. As this rather one-sided romantic dance unfolds, they experience surreal magical-realist moments that grow increasingly absurd thanks to a cast of unique characters, all of which tests Sempai’s resolve in love and the girl’s capacity for drink and fun because all the while, everyone keeps drinking and having a good time. Akira Ikeda directed Anatomy of a Paper Clip (2013) which won the Dragon & Tiger Award at Vancouver International Film Festival and the Grand Prize of Tiger Award at Rotterdam International Film Festival. He’s back at Rotterdam with this film which was at the Tokyo International Film Festival last year. 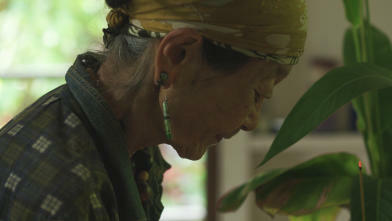 Indie director Ryutaro Ninomiya’s film, The Charm of Others was at the International Film Festival Rotterdam 2013. He’s back with his sophomore film that stars himself and Shinji Imaoka, the famous pink film director. This was at the Locarno Film Festival and Vancouver International Film Festival last year. This film is somewhat autobiographical for the director who shot it in the places he has lived. Synopsis from the festival site: Local artist Qualia enjoys greeting his friends who visit the exhibition of his paintings in rural city Mito. When his exhibition comes to a close, he finds it difficult to leave. Suzuki Yohei’s deadpan oddity captures the awkwardness of social interactions. This one is in the Bright Future section but screens with the above title, After the Exhibition. Synopsis from the festival site: Somewhere between deadpan and plain weird, Suzuki Yohei’s unique brand of satirical comedy returns with the mysteriously titled YEAH. 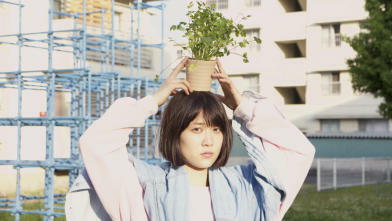 A young woman, Ako, wanders around a sparsely populated housing estate in the rural city of Mito, where she spends her time speaking to objects and plants. She slips in and out of the conscious world. To those who encounter her, Ako appears to have psychiatric issues; to her, everybody simply misunderstands her. The film is situated in a housing estate that symbolises the prosperity of Japan’s recent past, while its dilapidation represents the nation’s failed present. 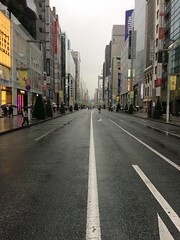 In this politically charged setting, Suzuki asks us to consider whether his countrymen are Ako, whose apparently aimless pursuit is still one that is committed, or if they are the ones obstructing her path. Synopsis from the festival: Based on Akutagawa Ryunosuke’s short story The Devil and Tobacco (1916), the film introduces a curious account of the devil’s introduction to Japan with St. Xavier in 1549, and how the devil transformed himself into an octopus (or devil fish) to eventually oppress Japanese Christians in the 17th century. Another short in this section is Towards Hands (Dir: Usuha Ryoya, 7 mins. 2016), a CG film where viewers puzzle over people who fight and fall to protect a certain object. Mountain Plain Mountain (Dirs: Araki Yu, Daniel Jacoby, 21 mins. 2018) plays in the Ammodo Tiger Short Competition. In the Deep Focus part of the programme, where social issues are investigated, we see a veteran filmmakers make an appearance in the Signatures Section. People who see it tend to be wowed, so make this one a selection. This one is about dealing with existential loss and investigates the topic through the prism of characters affected by blindness and dementia. It has toured around the world and won a myriad of great reviews. I like that the focus is on Audio-Description writing. There are a number of Japanese films featured in the Voices programme of the festival where filmmakers with a distinctive perspective and confident voice are gathered. This one is an Australian-Japanese co-production, a mockumentary which takes all the exaggerated features Westerners imagine trashy Japanese television having. Takaomi Ogata has been around since the early 2010s and he has always dealt with tough social issues. I watched three of his early feature films but only reviewed one, Sunk Into the Womb, a brutal story of a woman who abandons her children. This one has a story that looks equally harrowing since it portrays an innocent person having their reputation murdered by the media, the lies and scandals that people mindlessly consume. It was at the Tokyo International Film Festival last year and has been good enough to be picked for a European festival. Screening under the Regained section, where recently restored works which have been given a new lease of life by distros around the world are shown, the list includes features, shorts, documentaries, and experimental titles. The next film comes from Toshio Matsumoto who was a master of those forms. With the screening of this new 4K digital restoration of the film, made from the original 35mm negative, we celebrate the life of its director, Matsumoto Toshio. Having recently passed away, his influence on Japanese documentary film, experimental film and film criticism remains deeply felt. As well as these productions, there’s an American indie title called August at Akiko’s (Dir: Christopher Makoto Yogi, 75 mins. 2018) which is all about an aimless musician meeting an older woman who takes him under her wing and the two form a cool relationship as he listens to her and learns from her. I hope this helps you discover some great films! Take care!